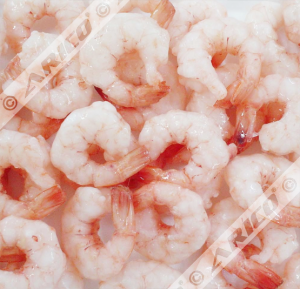 Designed and manufactured in compliance to HACCP and FDA standards. 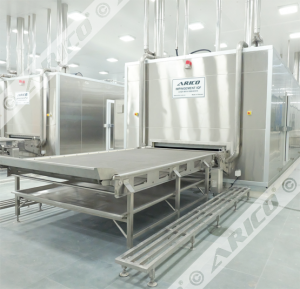 Stainless steel and food grade materials. 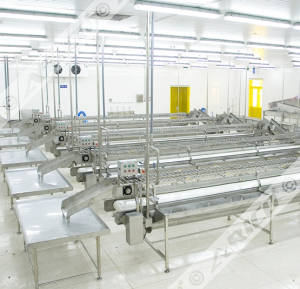 The frame is made from heavy duty hot dip galvanized steel for stability of the machine. 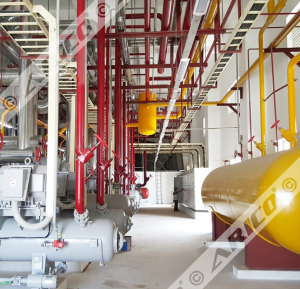 The heat exchange plates are non-welded aluminum alloy for a sturdy structure, stability and fast freezing. 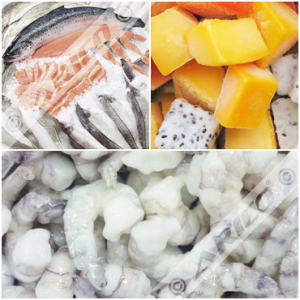 The fast low temperature freezing maintains the natural quality of the products. 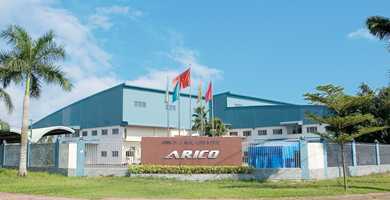 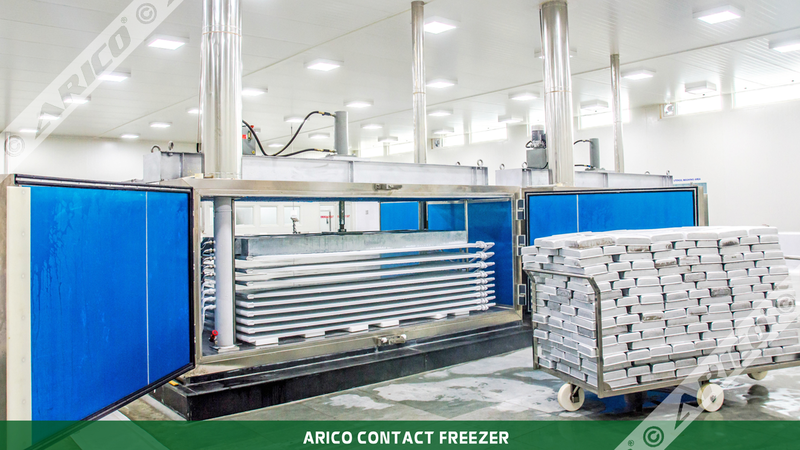 Arico Contact Freezer is ideally suitable for freezing shrimp, fish, fish fillet, chopped fish, fruit pulp, and vegetable. 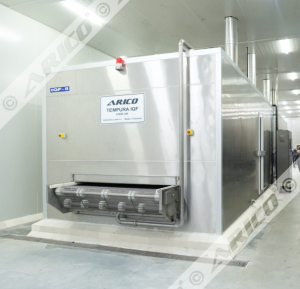 Both Curtain and Insulated Enclosure Contact Freezer models are available. 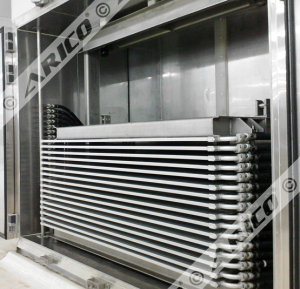 The Curtain Contact Freezer with automatically or manually opening curtain doors is a solution for a small place, mean while the Insulated Enclosure Contact Freezer which is fully insulation provides an efficiency operation. 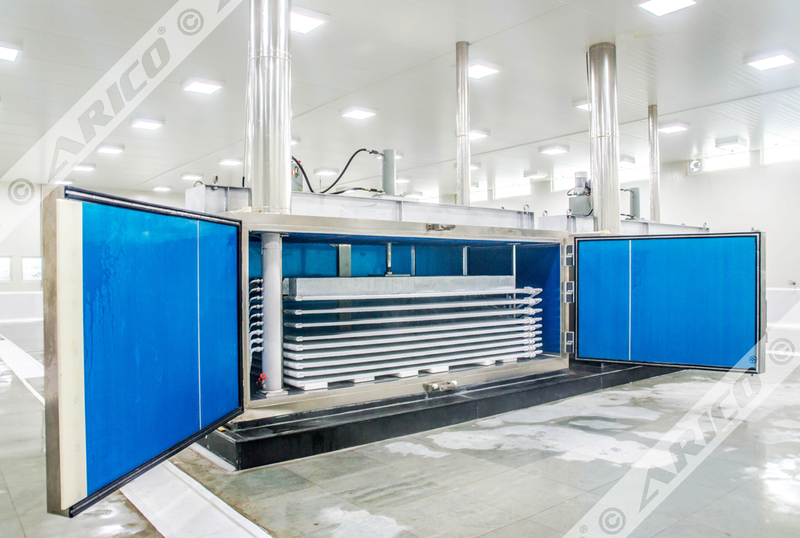 Products are simply place into extrude aluminum alloy trays, with cover laid on the top, which later load into horizontal gaps between aluminum heat exchange plates. 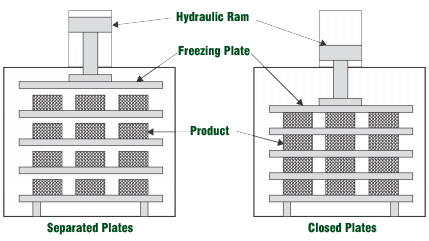 When full loaded, the hydraulic system will press down the plates, then provide double contact freezing to the blocks. 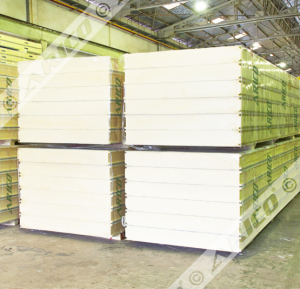 After products are frozen, the blocks can be unloaded manually or mechanically to the pallets or an automatic conveyor system. 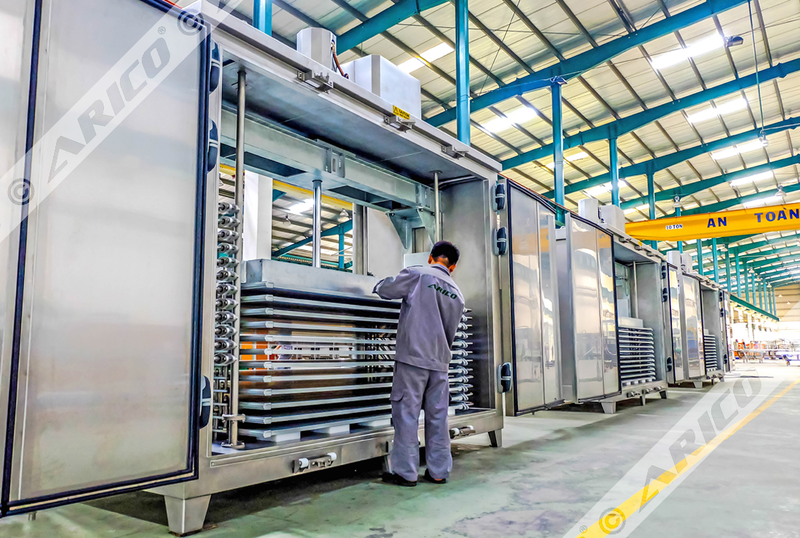 The next batch will be ready for within minutes without any complex action. 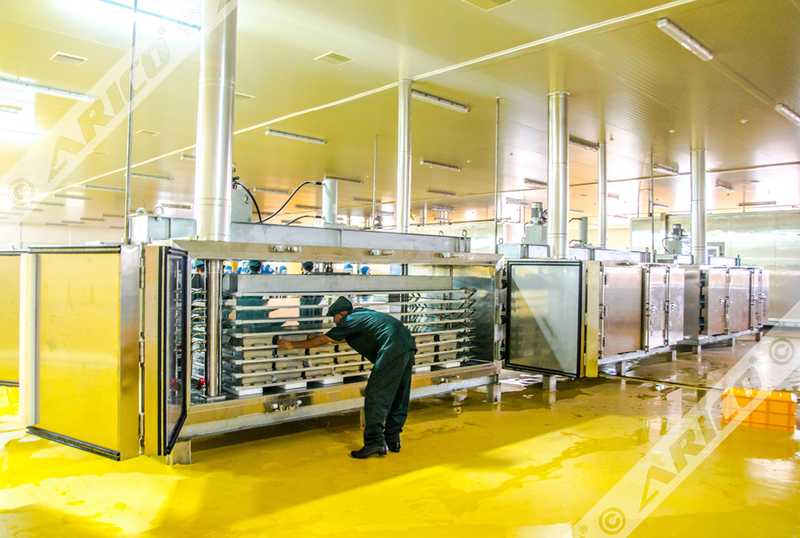 Block freezing is such an effective economical method of preserving, storing and transporting perishable products. 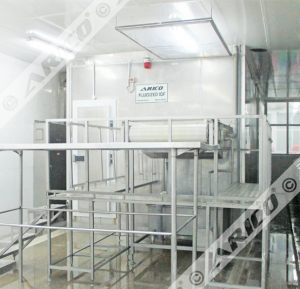 Designed to freeze a wide range of products with batch loading in trays, cartons or frames. 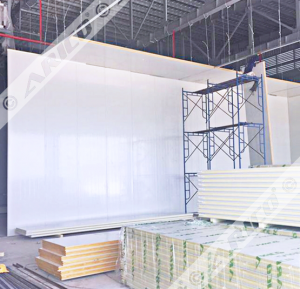 Polyurethane Panel insulation, stainless steel sheet cladding. 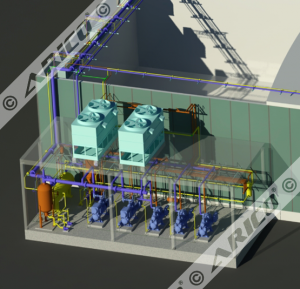 Various refrigerants can be used with Contact Freezer and water or hot gas defrost are applicable. 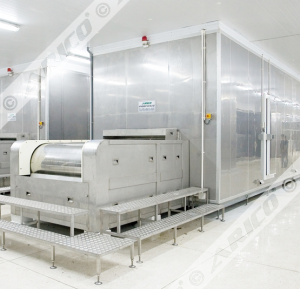 Two separate accesses for easy loading, unloading, maintenanceandcleaning. 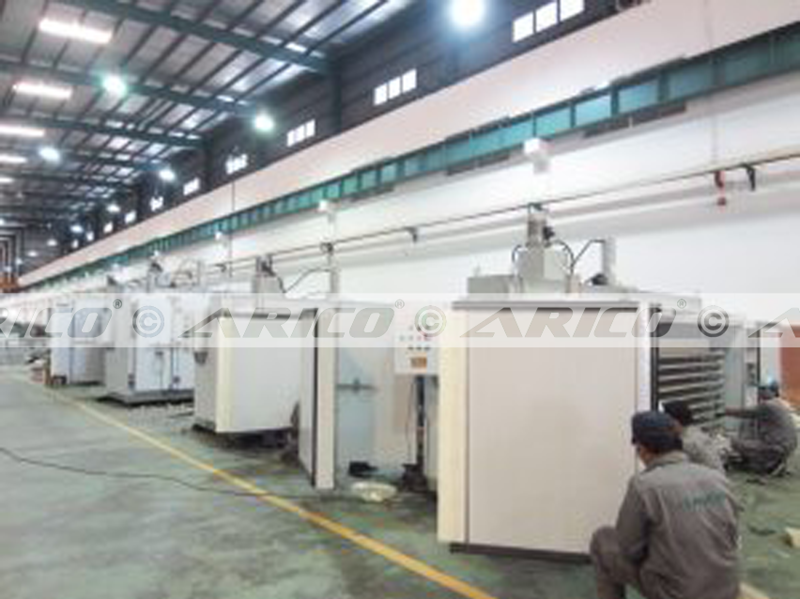 Fully factory testing and compact packaging provides easy transportation, plug and play at site.